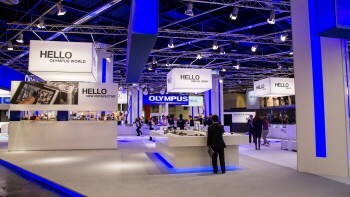 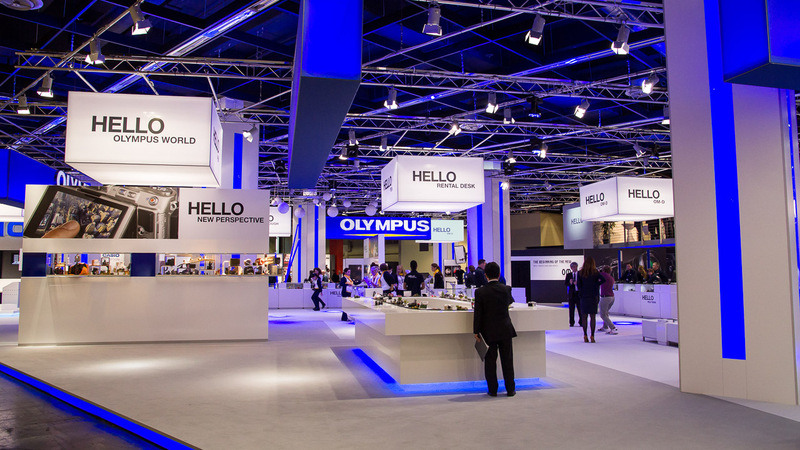 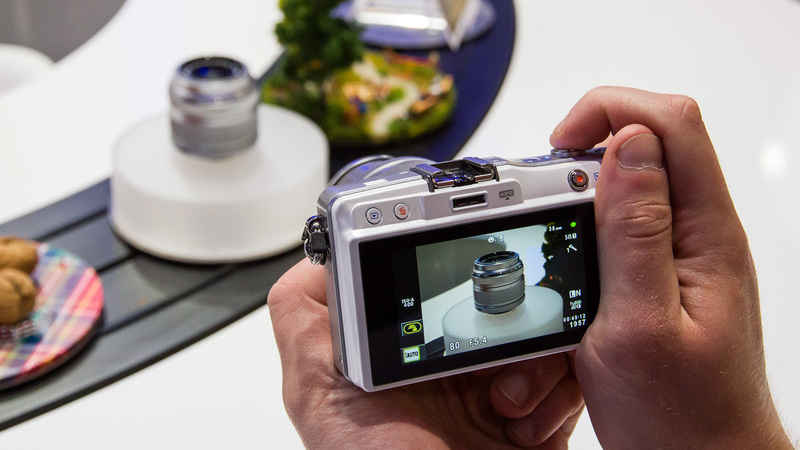 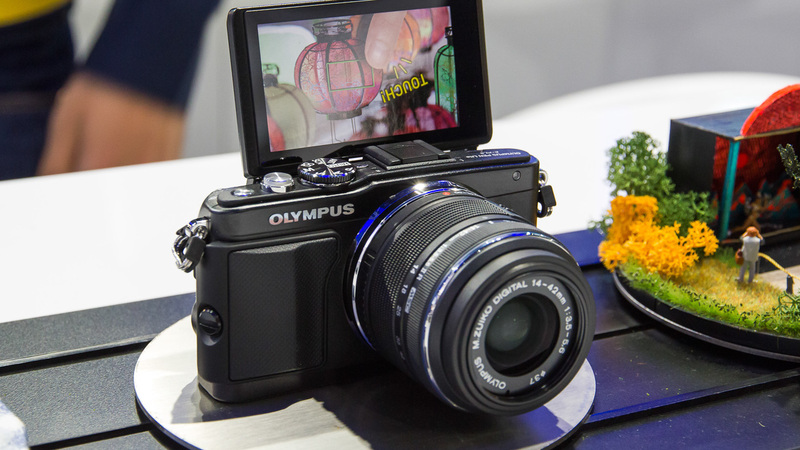 Moving product presentation by Olympus at trade show. 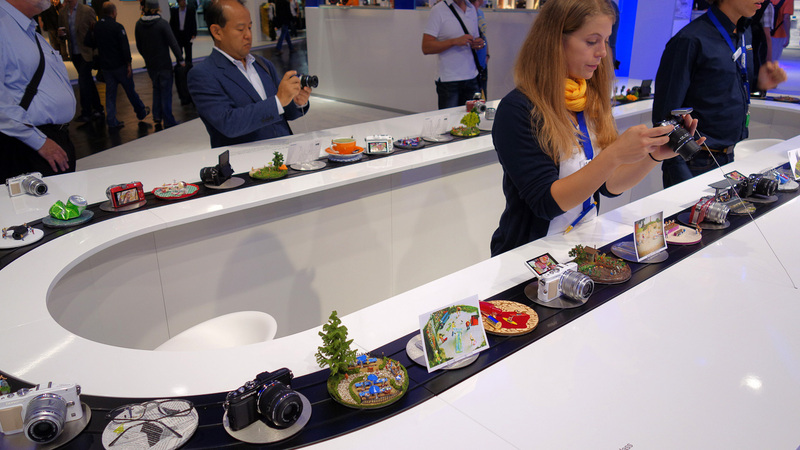 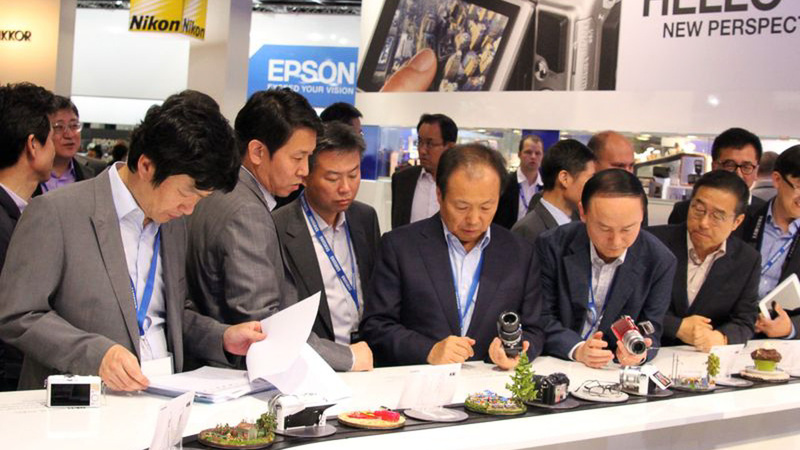 The conveyor belt with cameras attracts a lot of attention. Check out the photos!